Address your senses with calm sophistication with the incredible style of our Granada Aluminium Outdoor Sofa with chic coal frame. 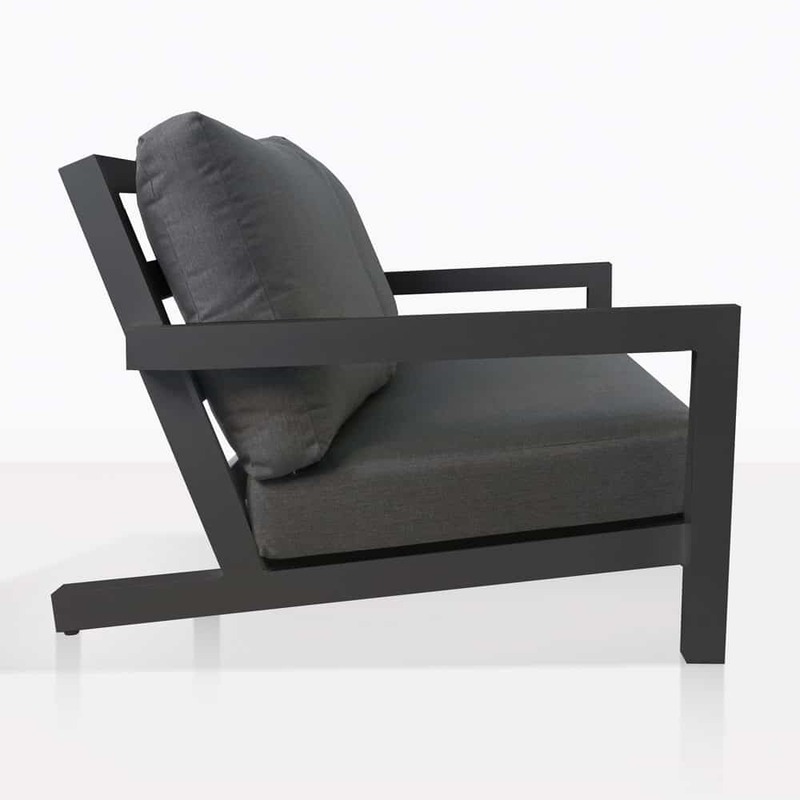 Offering up a tremendous design with extraordinary materials, the Granada Outdoor Collection bodes well in many spaces due to its urban contemporary simple style that is an ode to the traditional furniture style of the Adirondack chair, while being completely modern and fashion forward. 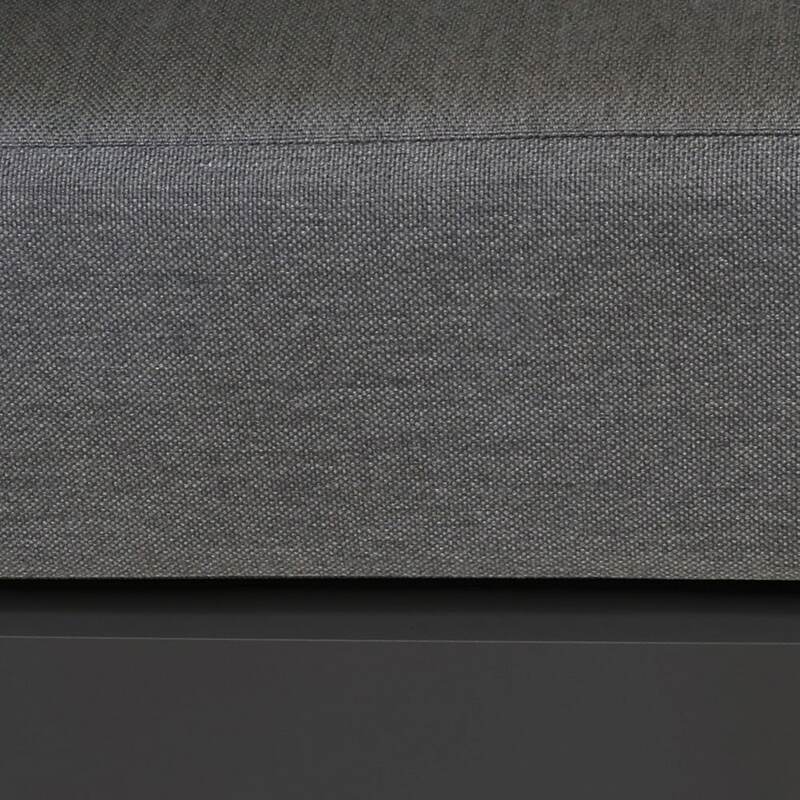 Featuring two other pieces alongside this stylish sofa, so you may match a Club Chair and / or Granada Coffee Table based on your spacial needs. Regardless, the style will speak to you, encouraging rest and relaxation. 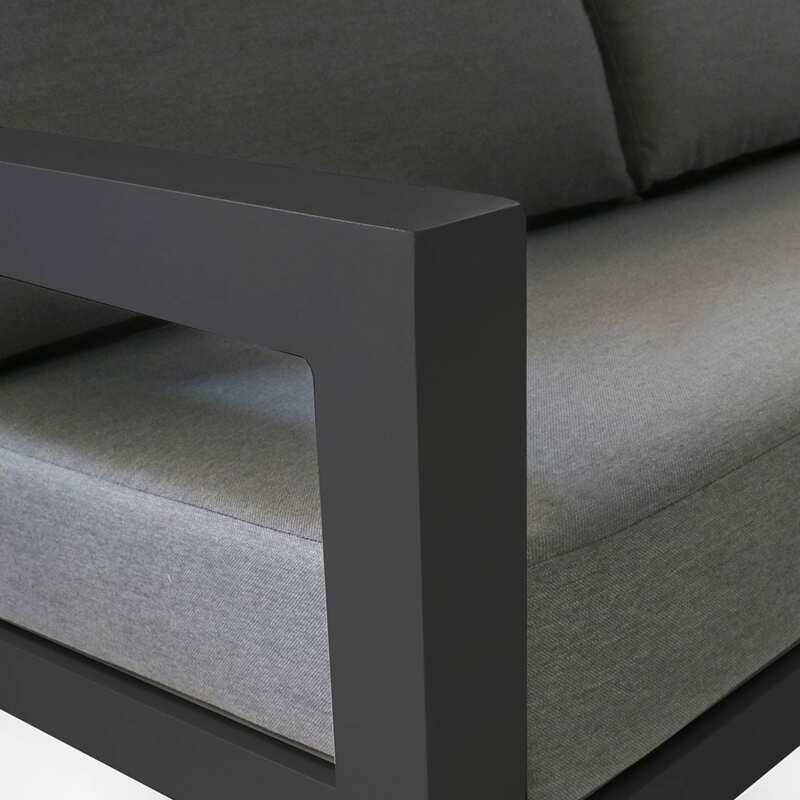 The sleek coal powder coating on a strong frame looks beautiful, featuring a tilted back, wide and low seat finished with incredible sumptuous Sunbrella® cushions. 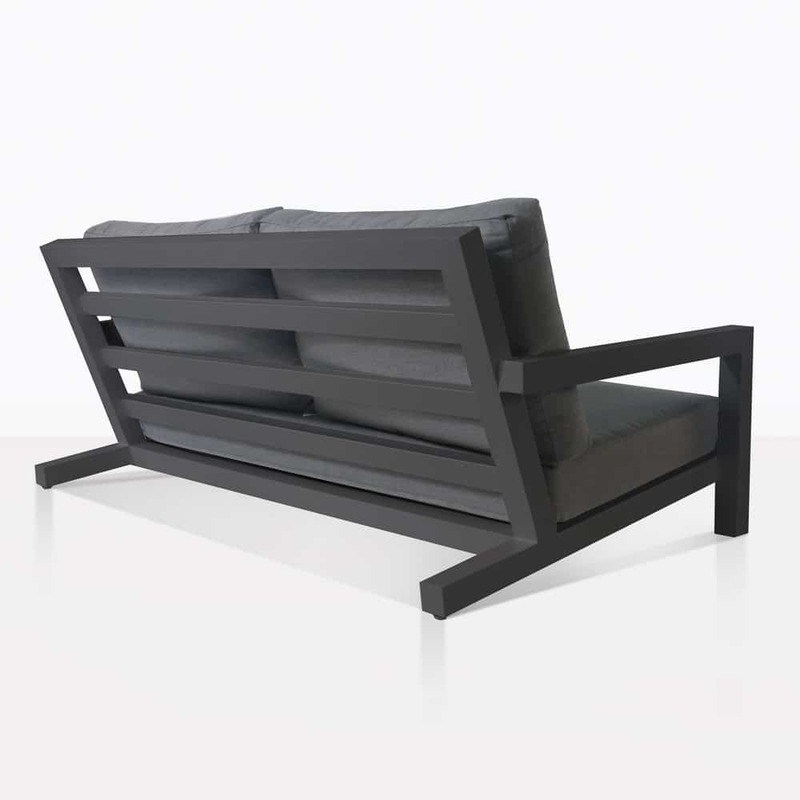 Position your Granada Coal Aluminum Sofa on your verandah overlooking your view. Think about relishing in blissful outdoor seating that is smart and luxurious. Place a side table at each end and enjoy a refined book for two! In a bigger space, be bold! Place two Granada Sofas opposite each other with a couple of Granada Club Chairs and a Coffee Table, hang a grey cantilever overhead, and finish off the look with decorative lamps and potted plants. You’ll adore the incredibly stylish and welcoming area you’ve curated! Mix and match with other materials to truly personalise your space. This Granada Sofa and Collection are made from durable outdoor materials, making maintenance a breeze and gives the furniture a longevity you deserve! The powder coated Aluminium is shown here in coal (but is also available in chic white) is robust, hard wearing and incredibly attractive. 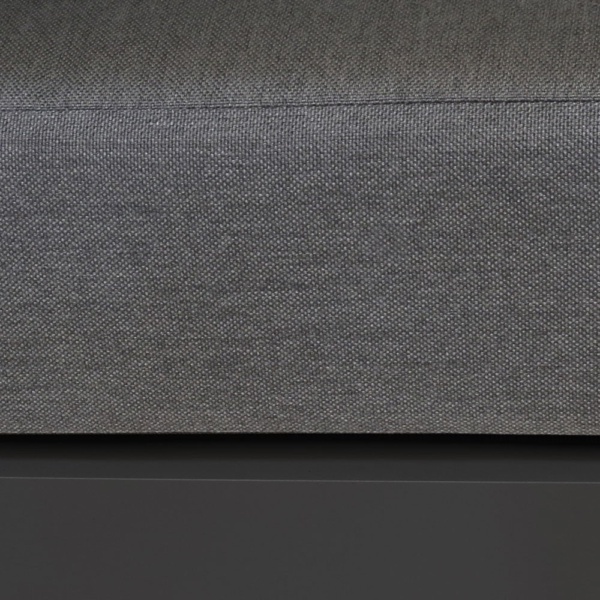 Topped with cushy Sunbrella® cushions, ensuring long life and quality, not too mention comfort! 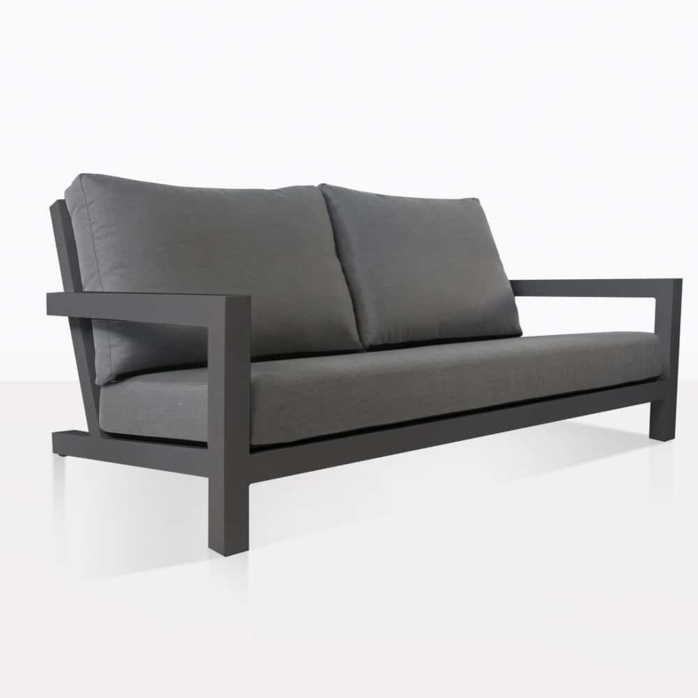 Engage in absolute comfort with the Granada Outdoor Sofa. Call Design Warehouse today to order your beautiful pieces to complete a tranquil life in the outdoors!